Mornings can be really crazy…the alarm doesn’t go off…the kids don’t want to get up…there is no time to eat breakfast before the bus comes…or they’re just not ready to eat. Or maybe your teenager grabs a can of soda and a candy bar on the way to school. If this sounds like your house, we have good news for you. Breakfast is served at school! Times: elementary 8:25 am, middle 7:15 am, high 7:10 am. School breakfast will give your child a healthily start to the day. A nutritious breakfast helps students be more alert so they can learn more in class. Breakfast has vitamins and nutrients for a strong and healthy body. Menus includes: whole grain items, cereal, fruit & milk choices. Breakfast at school is affordable, too. It you qualify for free and reduced price meals, you also qualify for the breakfast program, with no additional paperwork. You can’t find a healthy breakfast at such a low cost anywhere else. 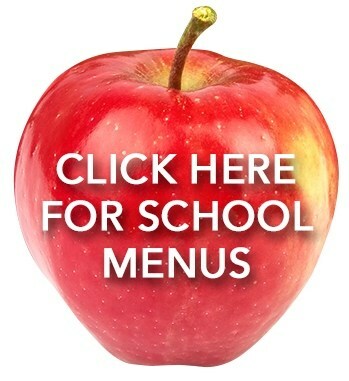 Help your child start the day right with school breakfast.